渤海海底隧道 Bohai undersea tunnel-外国语论坛-服务器里的北京-老北京网 - BY Old BeiJing! The Bohai Strait Tunnel or Dalian-Yantai Tunnel project proposes the construction of an underwater tunnel to connect Dalian on the Liaodong Peninsula to Yantai on the Shandong Peninsula. 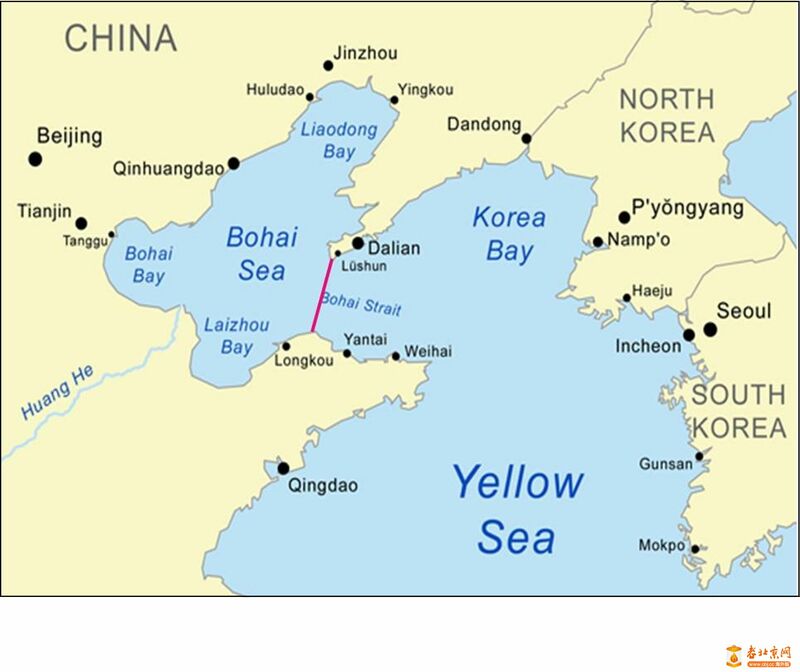 Another name for the project is Cross-Bohai-Strait channel. Crossing the Bohai Strait the tunnel would be 123 kilometers (76 mi) long, 90 kilometers (56 mi) of it under water. This would exceed the combined lengths of the two longest undersea tunnels on Earth, the Seikan Tunnel and the Channel tunnel. The planned high speed railway would traverse Bohai Bay, connecting Dalian in the south of Liaoning province with the Shandong province city of Yantai. "It will reduce travel time across Bohai Bay to a mere 40 minutes," Wang commented. At present, a ferry ride across the bay takes about eight hours, while travelling between the two cities by vehicle means covering 1,400 kilometers of coastal roads. GMT+8, 2019-4-22 04:02 , Processed in 0.063062 second(s), 22 queries , Gzip On.